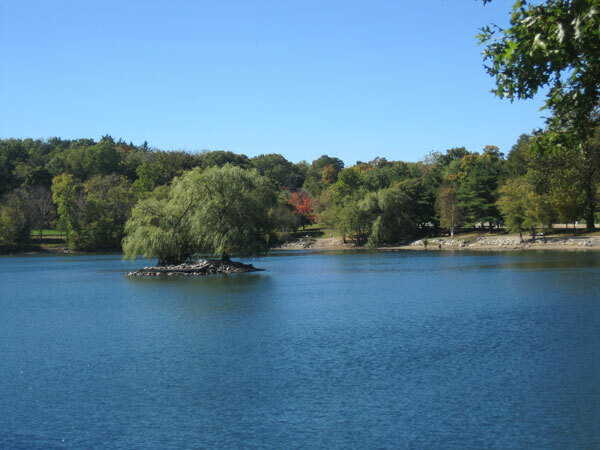 This largest freshwater body in the City measures 70 acres. 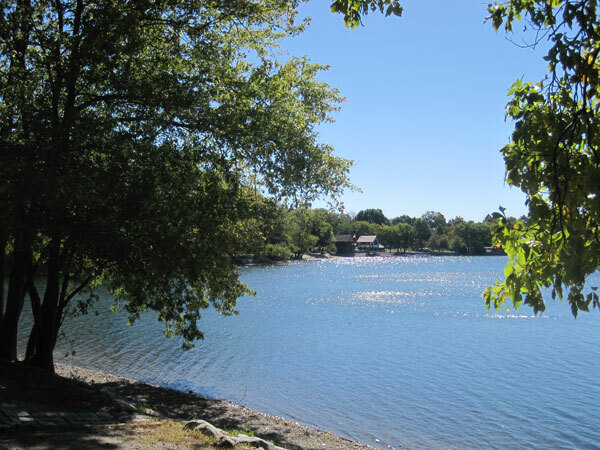 Prior to Olmsted’s involvement, the pond served as a popular summer resort, with many fine homes along its shores. 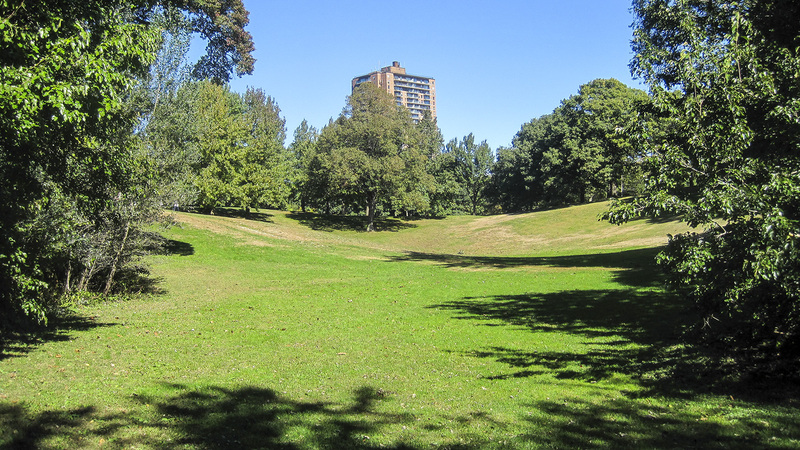 In his 1882 report, Olmsted described the feature as “a natural sheet of water, with quiet graceful shores, rear banks of varied elevation and contour, for the most part shaded by a fine natural forest-growth.” In contrast with other parks in the Emerald Necklace, including the Back Bay Fens, Riverway, and Leverett Pond section of Olmsted Park, little was done on-site; there was no significant regrading or reshaping of the land required. 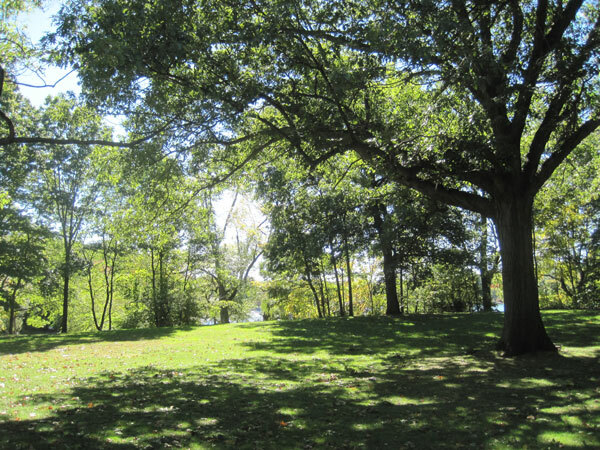 For the additional 60 land acres, Olmsted retained many of the existing trees, in addition to the Pinebank house designed in 1870 and originally used as a refectory. 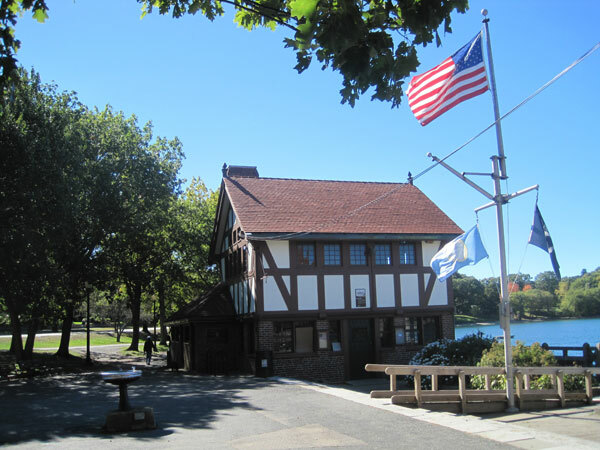 The Jamaica Pond Boathouse and Bandstand were built in 1913 from plans by William D. Austin. 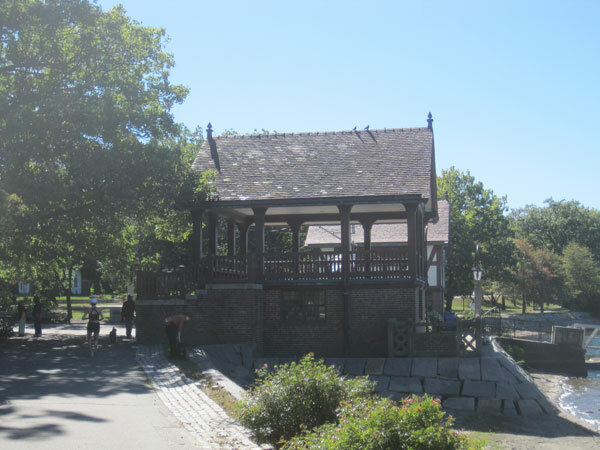 A memorial statue to Francis Parkman, designed by Daniel Chester French, was erected on the site of his former residence in 1906. 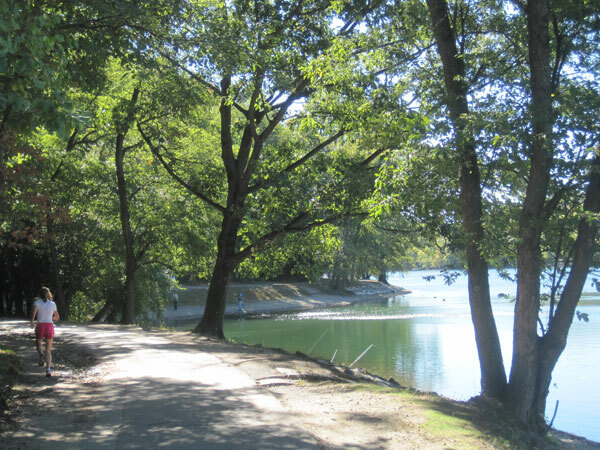 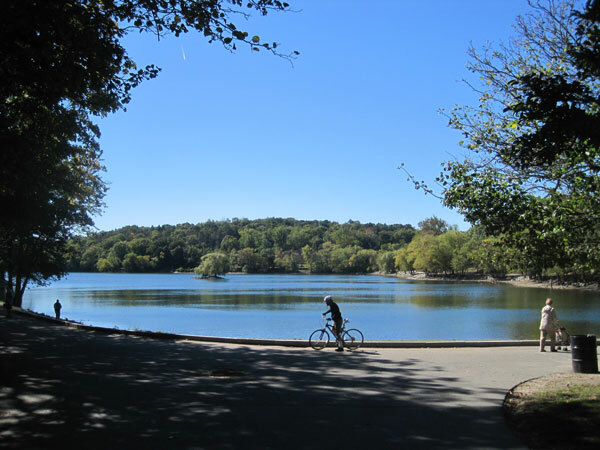 Jamaica Pond is served by two parkways, both intended to be integral to the parks: the Jamaicaway, at its southern end, and the Arborway, which connects the park to the Arnold Arboretum.